The name Ferraria means iron forges, and this inspired the distinctive crest and banner design and represents the development of iron and steel making on which the population growth and prosperity of Corby was based. Many had arrived in Corby from Scotland during the early 1930s. 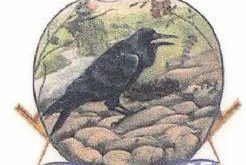 Indeed ,one of the wives of a founding member(Mrs Doris Blackley) embroidered the Ferraria banner which still hangs in the Temple today. 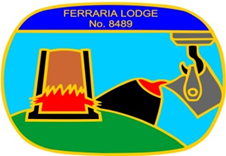 Ferraria Lodge was created by the coming together of members belonging to Thistle and Rose Lodge No. 6644 and Willowbrook Lodge No. 7439 during the years prior to its consecration at the Masonic Hall York Road Kettering. One of its primary purposes was to provide a second Lodge to support Thistle & Rose and enable Masonry to prosper and flourish in Corby. 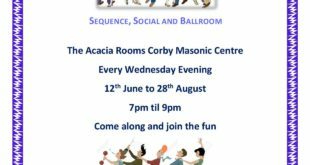 The initial meetings were held in Kettering but the overriding objective was to fund and build a Masonic temple within Corby. 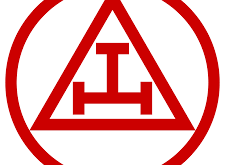 It therefore , followed the example of its Mother Lodge , by holding its meetings at the Lutheran Hall, Corby from September 1973. During 1976, the number of Brethren available to set up the temple furniture and flooring became a problem which resulted in a proposition to meet for the foreseeable future at the Masonic Hall in Kettering once again. This enforced move did not in any way diminish the determination of its members to actively support Masonry in Corby by paying the levy, helping in fund raising activities and by members contributing labour and materials in the building of the Temple in Corby. In 1984, the Lodge decided by two thirds majority of those present ,through a vote, to return to Corby. At this time the Temple at Rockingham Road, though spartan, did not require setting up for each meeting. During those early days , the lodge suffered several setbacks caused by the deaths of its Worshipful Master, Bro. D Gibbs and its first secretary Bro. J. Jarvis. 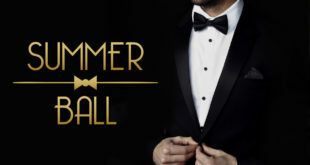 Nevertheless, the obvious strength in depth of its founders, together with a healthy influx of quality initiates and joining members maintained the Lodge on an even keel. 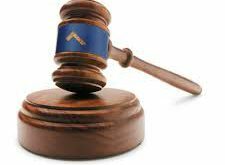 Since that time , the Lodge has gone from strength to strength and this can be seen by an average attendance of 40 brothers sitting down to the Festive Board, throughout the Masonic season. Consecrated : 19 May 1973.